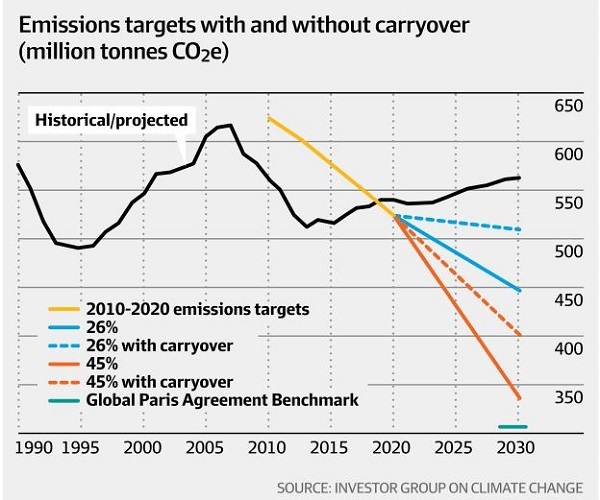 While Labor’s 2019 Climate Acton Plan has been completely rewritten compared to the plan they took to the 2016 election the target of 45% emissions reductions (from 2005) by 2030 remains the same. I can’t recall whether they espoused zero emissions by 2050, as they do now, I think it may have been 90%. Their overall strategy is, I think, based on six considerations. Failure to act on climate change will expose the Australian people and environment to devastating costs for our economy, society, security, health and environment. Experts at the ANU, University of Melbourne and CSIRO estimate failing to keep global warming to below two degrees will eventually cost the average Australian household $14,000 per year. Labor accepts the science of climate change and endorses the Paris Agreement to keep global warming well below two degrees Celsius as well as a more qualified commitment around a 1.5 degree threshold. It is not at all clear what their attitude to 1.5°C is. I take it to mean that they are mindful of the desirability of taking on board the need to stay below 1.5°C. However, their plan would have no credibility in achieving such a goal, and they probably think that doing what would be necessary would scare the horses. In other words, they think 1.5°C is not currently politically doable. In order to inform policy, and ensure Australian business, government, and communities are equipped to address the impacts of climate change, Australia needs a comprehensive, independent,scientific, and Australia focussed assessment of likely climate change impacts over the next years and decades. It is impossible to properly plan for the impacts of climate change if we do not have Australian focussed assessments of what those impacts are likely to be under plausible scenarios. Although the Abbott government failed in its attempt to destroy the Climate Change Authority (CCA), it is not funded enough to do anything much. Also the Coalition government took no notice of it, so its last scientist, Prof David Karoly, followed Prof Clive Hamilton, Prof John Quiggin and Danny Price out the door in July 2017. If the Authority’s recommendations were converted to a 2005 base they would imply … a 2030 range of 45 to 63 per cent. Labor adopted the bottom of this range, the Greens chose the top. After the Paris agreement the CCA talks of keeping temperature “well below” 2°C, and note in it’s Special Review that the Paris Agreement process includes a ratcheting up of ambition every five years, with the first due in 2022. It’s unthinkable that a revived CCA supervising a comprehensive Australian Climate Change Assessment, would not recommend more ambitious targets and more urgent action, given IPCC report on 1.5°C. Labor does not plan to use carry-over credits from Kyoto. Ben Potter explains that Australia’s use of such credits perhaps does not matter much to the world, but if every country that has credits followed suit the aims of the Paris Agreement would be destroyed. See also my post Cheap accounting tricks and sovereign risk: the Morrison government’s climate policy. Fourth, Labor is genuinely looking for bipartisanship and trying to provide some policy continuity. For this reason, I think, they have chosen to go with the National Energy Guarantee (NEG), which appeared to have broad support from stakeholders and interested parties. It is important to note that the future of the National Energy Market is a responsibility of the COAG Energy Council, not of the Australian Government. The NEG remains an agenda item for the Energy Security Board (ESB), which is a function of the COAG Energy Council. The Australian Government is one equal partner on all COAG councils, which operate by consensus. The NEG may have been abandoned by public announcement by the Turnbull and Morrison governments, but has not been formally killed off where it matters. Fifth, climate change is a multi-faceted issue involving many stakeholders and interested parties. Labor intends to act in a consultative way, setting up many inquiries. This is not understood by Adam Bandt and the Greens, whose modus operandi appears to be to put some words on a blank sheet of paper and then make a pronouncement. So Bandt should not be surprised that his description of Labor policies as a “dogs breakfast” would be seen as arrogant and insulting. However, it does highlight the difficulties a Labor government would likely have in the senate. I was pleased that Richard di Natale’s leading budget commentary appeared to be the complete lack of attention to climate change. We will implement a 10-year Energy Investment Plan, to drive and attract investment, to lower prices, to cut pollution and create jobs. Labor’s plan will underpin investor confidence by providing a long-term policy roadmap to achieve our 2030 renewable energy and emissions reductions targets. Our investment plan will be guided by experts, using the Australian Energy Market Operator’s Integrated System Plan as an energy modernisation blueprint. We will use a range of tools to invest in projects and underwrite contracts for clean power generation, as well as firming technologies like storage and gas. The speech also makes reference to policies on gas, which got left out the Climate Action Plan as such, and presents arguments as to why there should be no fear campaign on electricity prices. Below I’ll try to identify the entities Labor plans to set up or revive, proposed inquiries and plans then comment briefly of the issues of the Safeguard Mechanism and emissions intensive trade exposed industries (EITEs), and electric vehicles and agriculture, then finish some concluding remarks. Restore and reform the Climate Change Authority (CCA) – $24 million over the forward estimates. Double the original investment in the Clean Energy Finance Corporation (CEFC) by $10 bn to support new generation and storage, concessional loans for household purchases of solar and battery systems, commercial community renewables projects and the transformation and growth of new and existing industries. Future-proof our energy networks by creating a $5 bn independent Energy Security and Modernisation Fund to upgrade Australia’s energy transmission and distribution systems, including linking Renewable Energy Zones. Target one million household battery systems by 2025 and providing a $2,000 rebate for 100,000 households on incomes of less than $180,000 per year to purchase and install battery systems, as well as low-cost loans for households. Establish a Neighbourhood Renewables Program for renters and social housing residents and establish community power hubs to support the development of projects in local communities – such as solar gardens on apartment rooftops, community wind farms and energy efficiency upgrades for social housing. Develop a Bioenergy Strategy to boost the development of this important industry in Australia – $2 million over the forward estimates. Kickstart Australia’s Hydrogen Economy with a $1 billion plan, with a hub based in Gladstone. Re-instate an Australian Climate Ambassador to re-engage constructively in the UNFCCC process and support our Pacific neighbours. Establish an independent Just Transition Authority (JTA) to plan and coordinate the adjustment to the closure of coal-fired power stations, working with companies, workers, unions, local communities, state government – $8.5 million over the forward estimates. Adopt a target of 50 per cent new car sales by 2030, with 50 per cent of government cars being EV by 2025, leading by using EVs in government fleets and installing charging facilities in government building car parks. Work with COAG to improve the coordination of EV take-up and related infrastructure planning, requiring all federally funded road upgrades to incorporate EV charging infrastructure, working with states to ensure new and refurbished commercial and residential developments include EV charging capacity, promote national standards for EV charging infrastructure and ensuring investment in public charging stations meet these standards. Introduce vehicle emissions standards in line with US standards of 105g CO2/km for light vehicles, consistent with Climate Change Authority advice, and consulting on the phase-in timeline and coverage to maximise savings for motorists. Grow private EV fleets by allowing businesses to immediately deduct 20 per cent off any new EV valued at more than $20,000 through The Australian Investment Guarantee. Develop a Low Emission Transport Strategy to inform future policy development across transport more broadly, including maritime, aviation, rail and heavy vehicles. Invest in public transport by upgrading and expanding the passenger rail networks in Brisbane (Cross River Rail), Sydney (Western Sydney Rail and Western Metro), Melbourne (Monash Rail and Frankston to Baxter Rail Upgrade), Canberra (Light Rail – Stage 2)and Perth (METRONET). The Emissions Reduction Fund (ERF) will be terminated, but Labor will review and strengthen the Carbon Farming Initiative, making the creation of offsets smoother, and boosting scheme integrity to ensure real pollution cuts by establishing a Carbon Assessment Standard, a certification framework to mature the offset market and facilitate more efficient, low-cost abatement. Labor will allocate $1.5 million over the forward estimates. There will be $40 million over forward estimates to boost carbon farming methodology research and development. Labor will work with Meat and Livestock Australia (MLA) to help it meet its objective to be carbon neutral by 2030 by developing a Strategic Meat Industry plan, with funding of $2 million over the forward estimates. Labor will extend the Queensland broad-scale land clearing regime to the rest of the country. Labor will build new tools and maps that help landholders understand if they are required to consider the federal land clearing protections, with $8 million provided over the forward estimates. Labor will develop and deliver a National Forestry Summit and a National Forestry Strategic Plan, to support the growth of a more sustainable and prosperous forestry industry. Labor will extend the Government’s Safeguard Mechanism to reduce pollution for Australia’s biggest polluters by including all polluters emitting 25,000 tonnes or more compared to the present 100,000 tonnes, with the aim of reducing total pollution by covered entities by 45 per cent (on 2005) levels by 2030. Labor will consult with industry and experts on this threshold and its phase-in. Tailored treatment will be provided for emissions intensive trade exposed industries (EITEs) to ensure they face comparable impacts from climate change policies as their competitors do in relevant international markets. Electricity will be exempted and covered in Labor’s National Energy Plan (which I can’t find in their platform). Labor will commit up to $10 million over four years to 2022-23 for an Energy Affordability and Productivity Review that will enhance COAG’s National Energy Productivity Plan, reform energy efficiency governance, support the harmonisation state based Energy Efficiency Obligation schemes, and revitalise COAG’s efforts to introduce a National Home Comfort Rating System. Labor will re-institute and re-badge the position of Climate Change Ambassador with a special focus on the Pacific region, where climate change will be given priority in Labor’s international development program. Giles Parkinson points out that under the Coalition government the big polluters were essentially self-regulating, because emissions increased by 17% on their watch, and were forecast to go higher. So of course they are whingeing about the prospect of a fair dinkum regime. Labor will make it easier for covered businesses to meet any offset obligations by allowing for the creation (and sale) of offsets if emissions fall below baselines, allowing for the (limited) use of international offsets, and exploring the option of allowing offsets to be generated in the electricity sector, boosting offset supply through Carbon Farming revitalisation reforms. The Morrison government went on the political offensive immediately, likening the measures to a carbon “tax”. The prime minister claimed Labor’s beefed-up pollution requirements for big emitters would force companies to purchase international carbon credits, “sending money offshore to foreign carbon traders – carbon credits from Kazakhstan”. Bandt said international offsets were “fake action because Australian polluters will buy overseas permits from other countries but keep polluting at home. International offsets delay climate action in Australia. More coal will be burnt at home and the transition to 100% renewables will be delayed”. The shadow climate change minister, Mark Butler, said the government needed to explain why it supported Australian businesses trading in international markets, but not international carbon markets. “What we need are cuts in pollution, whether they are from the Australian carbon farming sector or overseas robust credible markets or the electricity sector – the important thing is for cuts in pollution to be achieved … in the most cost-effective and efficient manner possible,” Butler said. The Government was in full scare campaign, by saying the trading element was a trojan horse for a carbon tax and offshore offsets would result in $35 billion (think of a number, but I understand $35 per tonne is the present EU price) going to offshore charlatans. Labor’s electric vehicle policy ran into early trouble because it would mandate that car dealers implement the emissions policy by ensuring the average emissions of the cars they sold would meet the nominated standard. This was held to be impractical, and was rapidly withdrawn. Agriculture was exempted from the scheme to limit major polluters through the Safeguard Mechanism. However, Labor’s plans will affect farming and grazing through developing a carbon reduction plan with the Meat and Livestock Australia, the vegetation management regime extension and the Carbon Farming Initiative. Back in 2007 the Queensland Labor government undertook a study of the Queensland grazing industry, and found it carbon neutral when the effects of vegetation management legislation were taken into account. Greenies and Greens, however, want to accept the benefits of vegetation management on behalf of the planet rather than allow any of the benefits accrue to the people producing them. Queensland vegetation management has been the major factor allowing Australia’s record on climate mitigation to have a veneer of respectability. I knew more about the issue back in the days of Beattie and Bligh, before 2012 when Campbell Newman rescinded the laws, which then triggered a spike in panic clearing. The Palaszczuk government was unable to re-institute the regime until her second term because she needed Katter Party support and/or the support of Far North Queensland independents. She claims she now has the balance right, but the greens and the Greens are happy, the landholders not. The pre-2012 regime was seen as, and I think was, extremely hostile towards landholders, breached notions of natural justice and administrative fairness, and almost led to a shooting war on propertties at times. As a disclaimer, back then my elder brother chaired Property Rights Australia, a body established with a fighting fund to mount legal challenges to the most egregious instances of maladministration of hostile laws. Now a burning issue is farm invasion of feedlots by animal rights advocates. On the other hand my daughter was a long-time vegetarian, now eats meat caught in the wild. So mostly, I listen and ask questions. Tackling climate change across the economy is a multi-faceted business, and we need to start from where we are rather than a clean sheet of paper. And in the medium term, rather than the long-term we are going to need a full-scale assault on the problem, which will require a social licence and bipartisan support. I’m impressed with the amount of thought that has gone into Labor’s policy. I think it offers our best chance of doing something meaningful within the next five years. “There are a couple of good ideas here, but overall this is a dog’s breakfast of Liberal party leftovers, with no plan for coal and no hope of meeting the Paris Agreement goals,” said Mr Bandt. To the Greens it seems any policy that doesn’t have an economy-wide carbon price as a centrepiece is rubbish. Moerover, I don’t know where the opinion polling is to support the notion that an economy-wide carbon price matches the public mood. If Labor made exiting coal mining into a central plank they would hand the Coalition a gift scare campaign about jobs and economic irresponsibility, as well as start a war with some of the unions. A second term election is the time for such a policy. Labor wants to see the EITEs stay in Australia. I recall cement maker Adelaide Brighton assuring shareholders in 2011 that climate policy represented no threat to the company because it could always move offshore. They would do it in a heartbeat. I suspect a modest use of offshore credits may make the difference in some cases. Lindsey Tanner this week told Tom Switzer about the internal review conducted by The Greens after the 2004 election, when the Greens lost votes compared to 2001. Essentially it said “We are not in the business of taking votes off the Coalition, we are in the business of taking votes off Labor.” The Greens intent is the destroy and replace Labor, he says. Adam Bandt replaced Lindsey Tanner when he resigned in 2010 and now has a primary vote of 43% to make his seat safe in the mid 50s with Labor preferences. Essentially he has in that seat destroyed Labor and replaced them. It’s a pity that in their reaction to Labor’s policy The Greens have shown themselves as political as any other party, and more political than their ‘enemy’ who is trying to develop policy that is electable and implementable. In denigrating Labor’s policy so enthusiastically Bandt is in effect advancing the cause of Scott Morrison’s re-election. The Greens policy Renew Australia may be downloaded here. It’s an interesting document but of little practical relevance. Others will be formulating the policies that move Australia forward. Labor’s plan is not far off the mark, and as I explained, would be bound for upgrading on advice from the revived CCA and the national audit. Bandt would have us believe that there is negligible difference between major party plans. To me that is ignorance, or, more likely, dishonest. Shorten says that if elected he would want to sit down with the leader of the opposition to seek consensus on climate change action. Bandt’s speech makes it difficult for Labor in government to sit down with The Greens. Sorry about the length (3465 words), but I’ve tried to put the policy in appropriate perspective. John D, sorry to obsess about Adam Bandt and The Greens, but I do see their approach as problematic and unhelpful. I haven’t been half as rude to him as he has been to Labor. I will comment about the Greens policies when i have some time. Given all you write about the urgent need for rapid climate action I find it strange that you criticize the Greens for supporting challenging targets. You criticize the Greens for competing against Labor. However, it is useful to remember that there are some seats where the Greens can beat sitting conservative members while Labor cannot. It is also worth giving the Greens some credit for moving Labor policies to the green left. John, politics is conducted in the real world. It’s not helpful when the Greens politicking finds them dissing Labor policies, which a daylight ahead of the LNP, and saying, quite falsely, that there is no real difference. On Greens targets, I’m not criticising those targets. I think we need to go even faster. However, you do need to get elected in order to do anything at all. After the Gillard/Bob Brown experiment, Labor in the foreseeable future would govern as a minority government rather than take the Greens inside the tent. That’s just how it is. I’m not any closer to Labor policy development than any other member of the public, so I don’t know whether Labor drew from the Greens work or not. I would doubt it. I think most of the policy work was finalised around the middle of last year. Mark Butler has been working on this stuff for a very long time and has no doubt his own contacts and sources of information. It is true that having to compete with the Greens for the ‘green’ vote does keep Labor on their toes. However, no-one in Labor accepts that the seat of Melbourne will always be Green, and no-one accepts that some seats can only be wrested from the tories by the Greens. Labor will keep trying and invent new strategies. Maiwar in the Qld state election was an interesting example. Michael Berkman for The Greens was only a handful of votes ahead of Labor. It’s probably true that Labor or the Greens on their own would never have won. Bandt now has a large personal following and is presumably a good local member. However, when he goes, Labor will give it a red hot go. Unlike the old parties, the Greens will not use the ‘accounting trick’ of rolling over Kyoto Credits to fulfil this obligation, which will cut Liberal and Labor targets by up to 50 per cent offsets. Labor may have been late to clarify their position on Kyoto credits, but they never held a position of accepting them. Other than that it appears quite comprehensive. My take for this particular electorate is that the Greens would have won if Labor had not put up a candidate. John, I not sure there wasn’t a personal following factor on the part of both candidates Michael Birkman for the Greens and Ali King for Labor that factored in. Birkman only closed out second place by 78 votes and the TPP was 51.6/48.4. There are upper middle class elites who would never vote or preference Labor in a fit, and there are scrubbers who would never vote for or preference The Greens. Certainly most of the latter have been cleared out of the area. When we bought our house the other side of our street was old housing commission homes. It’s all gentrified now and every single house has had a significant make-over. There was also an issue about party priorities. The Greens simply had a higher priority on Maiwar than Labor could match. Ali King gave it a good go, but we heard reports of people being door-knocked four times by the Greens. Labor’s main priorities had to be elsewhere. There’s a heck of a lot here. I had better sleep on it and then cogitate quite a bit before commenting – except to wonder how much bipartisanship the greedy and unelected trogs, logs and dogs will allow our parliamentarians to practice. Brian: I have had a quick look at both the Greens and and Labor climate policies and think both policies are, by and large, appropriate for the parties that are proposing them. In the case of Labor they needed a policy that supported their claim that they would do much more than the LNP while avoiding complex new proposals that gave room for LNP attacks and misrepresentation. In effect adopting the NEG was brilliant because any attack would expose the bleeding wounds from the internal LNP climate wars. Talking about setting up a liquid hydrogen export facility near Gladstone was also brilliant since it offers the prospect of jobs to replace declining coal mining in Central Qld. Jobs not only in Gladstone but further inland away from the cyclonic coast where there is lots of dry, low grade grazing land for solar power production. It also shows that Labor understands the business potential associated with the use of Australia’s enormous solar resources to provide renewable energy for crowded Asian countries that haven’t got enough room to produce enough renewable, non-nuclear power. (Beats an opponent that dreams of coal fired power stations.) There is nothing to stop Labor switching to more challenging targets or coming up with something better than the NEG or international credit trading when they get into power. The Greens are about redefining “reasonable” and “responsible” into something that is a lot greener than it used to be. Pulling the country in the right direction is the main reason why I am an active member of the Greens even though I don’t agree with all their policies. With a bit of luck both you and I may have Green federal MP’s after the federal election. Brian: The Greens put a lot of effort and money into Maiwar and it paid off. I would expect Mike to boost his vote when the next election comes up. Having MP’s makes an enormous difference to the visibility, effort and resources available to compete at elections. Brian: Need more cogitation time before commenting. Skimming over it, have the impression they’ve actually thought about policy this time. Besides, conversation in this part of the world today was around Pauline Hanson and about the low quality of candidates; eliciting opinions about climate and environmental policies wasn’t even in the hunt. John, if Adam Bandt had said something similar to what you said I would have no complaint. I had written most of the post under the simple working title Labor’s Climate Action Plan 2019, but thought I should look up to see what The Greens were saying. I was more than a little astonished by what I read. It left me with the thought, if Adam Bandt is right and Labor’s policy is a “dog’s breakfast” and barely distinguishable from the LNP’s, then we have a problem. However, if Adam Bandt is wrong, then exactly what was he trying to achieve in trashing Labor’s policy the way he did? I’d still like to know. John, you make a number of good points about Labor’s policy. The Coalition party room debated and voted to back the National Energy Guarantee not once, not twice, but three times. I’m hoping that we lose both Barnaby Joyce and Tony Abbott in this election. Without them and after even three years of sensible government no-one would let Angus Taylor near the levers of power again. There was an interesting episode of The Roundtable – The new battle for the bush – which suggests there is some new thinking abroad in the bush. And NFF head Fiona Simpson is not a climate denier. Katharine Murphy reports an interesting reaction from Mark Butler on the current situation in Parliament must back Labor’s climate policy if party wins power, Mark Butler says. He says parliament should respect Labor’s mandate if they win. Nice try, Mark, but everyone in the senate will say they have a mandate. He said if the Liberals lost the coming federal election, and Abbott lost his seat, that could create the conditions for the Liberal party to come back to the table on climate change, and he predicted if the Greens shot down the policy on the basis it wasn’t perfect, “that would be an extraordinary decision, frankly, for the Greens to take”. Agree about Abbott going, but I am sure Labor and The Greens will talk, but not on the basis that one lot has the brains and the other the muscle. Butler also points out that The Greens policy on offshore credits is a backflip on the position the Greens took during the implementation of the carbon price in the 43rd parliament. I am sure sanity would prevail. He also says near the end that It’s in Bill Shorten’s hands as to whether he stays responsible for climate change. Shorten would be mad to move him. John if both you and I are represented by Greens after the next election, it would be a breakout and a game changer. It would be better for it to happen in those seats rather than the Greens knocking off people like Albo and Plibers. I would struggle to forgive them for that. One of my unfinished posts has the working title “Whitlam’s Children”. There has been a proposition some time ago that the Greens are the true heirs to Whitlam’s vision for Australia. I’ll try to do it before the election. DiNatale is a different sort of person, better suited to cooperating with governments when this is appropriate. Tackling climate change across the economy is inextricably linked with energy use. Without tackling energy (i.e. humanity’s dependency on fossil fuels) then dangerous climate change will be inevitable. I think Labor policies are looking at what is politically expedient – what they can sell to the electorate. Either Labor is not aware of the urgent twin risks of dangerous climate change and oil and gas resource depletion or they are withholding that information from the electorate – “don’t frighten the horses”. Whomever gets into government will need to deal with some rapidly emerging and diabolical challenges. The Australian Senate Select Committee into Fair Dinkum Power this afternoon published my Addendum B (#9.2) to my Submission, that refers to some evidence that the falling of global conventional crude oil production is beginning to impeding petroleum-based diesel supply, plus new data on Saudi Arabian oil indicating we have less oil than previously estimated. The Morrison government’s derision of Labor’s electric cars policy has been undermined after it emerged that the Coalition has spent millions of dollars encouraging Australians to use the vehicles and its MPs routinely spruik the technology. I seem to recall then Energy Minister Josh Frydenberg calling for an EV revolution in an op-ed early last year headlined Stand by, Australia, for the electric car revolution. There’s also a reasonable analysis posted today at The Driven by Bridie Schmidt in an article headlined Coalition hits bottom of barrel with fake news campaign against electric cars. The Federal COALition is engaging in rank hypocrisy, hoping the voters have short memories (and are ill-informed). GM, in my experience many voters do have short memories and are ill-informed. If you want to see how screwed this debate with Adam Bandt and the Greens has become, look at this article in the AFR. “In terms of the cost to … our national wealth and national productivity, our reduction target has the same impact on our national wealth as the government’s because we are allowing overseas credits to be used in our pollution reduction target so the impact is the same as the government’s,” she said. 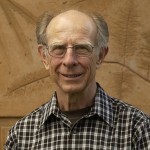 Professor McKibbin’s comparison found that the economic effects of a 26 per cent target without any international carbon credits being allowed would be precisely the same as a 45 per cent emissions target with limited access to international carbon credits, underlining the importance of access to international permits as a pressure valve for more ambitious targets. Yet in between those two paras we have Bandt distorting Plibersek’s remarks to say she was referring to tonnes of carbon being the same, and hence three-quarters of the carbon reduction would be off-shored. Is he thick, or just spoiling for an argument? Brian: What sort of action would be sufficient to allow credits to Aus? How will they be controlled and checked? Brian: Two days later and I’m really no wiser, (some unkind souls would ask what is so different?). Yes, ALP does have a Climate Action Plan, full of good intentions but how many will actually be put into effect and be useful? It’s an improvement on the dog’s breakfast that the Flat Earth and Phlogiston Admirers’ Party has to offer but that wouldn’t be hard to do at all . How much would be put on the back-burner on the day after the polls have been declared? Yes, the A.L.P. has put a lot of thought into this but is it an election tactic or is there a real determination implement this after the election. Cynical? Why wouldn’t I be? Graham, Mark Butler has been on the case for years, Penny Wong was on it from 2007, and other ministers keep mentioning it. Butler had been ALP party president until he narrowly lost out to Wayne Swan. I’m hopeful. John, all I know is that the used of international offsets would be “limited” and that Labor is going to produce a Carbon Assessment Standard to ensure quality of offsets locally. One would only presume that steps would be taken to see that international offsets were of comparable quality. If you do some back of the envelope calcs on what Bandt is suggesting, it simply doesn’t add up. He’s saying that 75% of Labor total carbon reduction of 45% across the economy would have to come from international offsets. From 250 companies. Labor’s policy says on this issue we are talking about the industrial sector, excluding electricity, which contribute around 30 per cent to Australia’s emissions. Labor says the aim is to get the emissions of those businesses down by 45%, the same as the reduction of all Australia’s emissions. The emissions reduction target from those companies is 13.5% of all Australia’s emissions (45% of 30%). 75% of the whole reduction target would be 33.75 % of all emissions, which is more than those companies are emitting. Hope that makes sense at this time of night! Brian: My main concern is about the quality of the credits. Sounds like Labor is addressing this issue. The other issue is what effect this has on global emissions. If the credits are being produced as a result of things that would be done anyways credits reduce progress.. The other international problem that exists is that places like the EU make their figures look good by replacing dirty things they used to produce with imports. Not sure how Paris handles this. John, I can’t answer any of those questions, and frankly I don’t think anyone anywhere is taking them seriously enough. It’s why I keep saying the only graphs that count are the atmospheric ppm and the ocean heat content. These have shown no sign of tapering. Australia’s job is to do things that will help bring world emissions down, not just fiddle the figures. John Davidson: ” If the credits are being produced as a result of things that would be done anyways credits reduce progress..” That’s something that worries me too. Instead, we should – we must – tell the rest of the world to go whistle, then set our own very high standards on emissions-reduction and actually carry them out. Of course that would create difficulties and further reduce our high standard of living (for our non-wealthy, that is). So what? We have been quite happy accepting unnecessary difficulties and tolerating our reduced standard of living for decades with barely a murmur – so why can’t we put up with temporary difficulties and a transient dip in our standard of living for something really worthwhile – And I do call surviving as something really worthwhile. Besides, just because our bewildered and gullible decision-makers have sold out our sovereignty and made Australia a colony again, that’s no excuse for the rest of us not to aspire to world leadership in dealing with the combined effects of human-induced climate change and of pollution of our seas, our waters, our air and our soil. We can do it – if we have the will. In principle I’m not against offsets, because the air is everywhere, and it doesn’t matter where the cuts to carbon pollution are made. Having a fair dinkum system is another matter. BTW, I’ve heard tell that the Europeans, with whom we want to negotiate a trade deal, are going to make us pay if we don’t get serious about climate change. Australia’s reported emissions look a bit better now because we have reduced our steel and car production and import cars. (The emissions generated producing cars for Australia overseas don’t count.) Countries should take responsibility for the emissions created producing the goods we import and get the emissions generated in Aus making stuff for export taken off our account. Wonder what the EU emissions would look like if they were held responsible for the emissions created producing and transporting the things they import. John, I think the actual counting becomes difficult when it happens in another country, and so many items have diverse parts produced in different countries. So the count would be somewhat theoretical. In our counting here, I suspect we systematically under-count fugitive emissions in producing gas, and I wonder whether the carbon lost in bush fires is properly counted. But science doesn’t count for the Coalition if it doesn’t suit them politically. By then the damage to the groundwater system will likely be irreversible. GM: Read somewhere that the threats made by LNP figures to destroy her political career if she did not give the approvals may provide the legal basis for a challenge to her decision. In the mean time Labor must be quietly hoping that Adani goes away without governments having to do anything. Or the Queensland government can look at the overwhelming evidence that the Adani Carmichael mine is not economically viable and risks taking jobs away from existing thermal coal mines, and make the decision to withhold the remaining approvals – when new facts come to light governments need to reassess the situation and be brave/courageous to alter decisions accordingly. On Wednesday, the Independent Planning Commission NSW (IPCN) published my latest letter drawing attention to additional information that indicates new coal mines like the KEPCO Bylong Coal Project are unlikely to be economically viable long-term. The same arguments can be applied to the Adani Carmichael mine proposal. GM: I can’t say I get enthused about government’s or mining courts knocking about mines on the basis of financial assessment by government’s. This doesn’t mean that companies should not be required to put money up front for environmental clean-up. I’ve published a new post on Adani. That would be fine if the bonds were adequate – they are not. So, if the mine fails on economic grounds then the company declares bankruptcy and leaves a mess behind for the local community and taxpayers to deal with. Why approve a mine that all the evidence indicates is not viable before it starts? Posted on Monday (Apr 8) at Climate Code Red is a 2-part post by David Spratt headlined Existential risk, Neoliberalism and UN Climate Policymaking. Part 1 is here, with a link included for Part 2. GM: The price of the products produced from the mines i have worked in have moved around substantially over time. It is a bit hard to predict long term viability. The nature of the mine can also make a big difference on what happens to costs over time and where those costs are likely to be near the end of a mines life. (Think of dragline operations working down from the seam outcrop. Cost will increase over the life of the mine as the overburden ratio increases as the mine gets deeper. The nature of can also affect the risk of unfinished rehabilitation. For example, rehab progresses as the mine progresses (and is required by law) for the dragline operations mentioned above. This is because overburden is dumped where it is going to be rehabilitated. On the other hand the nature of some deep open cuts means that rehab within the pit can only start when all the ore has been extracted from the pit. It is mines like these that can create problems if a mine goes bankrupt at the end of the mines life. How’s your insurance these days? I draw your attention to The Driven podcast: The Coalition is ‘fighting the future’ on EVs, published Apr 10. Giles Parkinson interviews Mark Butler MP on the ALP’s Electric Vehicle (EV) policy. •	EV purchase costs are expected to decline further, making EVs a ‘no-brainer’ within a few years. A more recent The Driven podcast: Biofuels, batteries, or hydrogen, published Apr 15, is also worth a listen. There’s a reference to a Mercedes Benz GLC F-cell battery-electric/hydrogen-fuel-cell hybrid vehicle (initially only available to some fleets in Australia). It reportedly has around a 50 km range on a fully-charged battery and around a 430 km range on hydrogen fuel only. In the short term the most logical option would be some form of hybrid where battery only range would chosen to be not much more than normal daily use. I think it would make sense for hybrids to consist of batteries and a small generator with the generator producing not much more than average energy requirements. (However, some hybrids are designed so that the hybrid engine has enough power to drive the car on its own. In the short term the logical hybrid fuel would be petrol or diesel. In the longer term I think hydrogen feeding fuel cells would be the logical arrangement. The fact that battery-electric vehicles (BEVs) are without question the most energy efficient renewable energy road transport option, compared with hydrogen fuel-cell electric vehicle (HFCEV) and electro-fuelled internal combustion engine vehicle (EF-ICEV) options, would suggest that’s where most of the developments will head towards. Hybrids add complexity (and I suspect extra weight) to the vehicles, but add more operational flexibility, particularly for a country like Australia with its vast distances to traverse in some situations. BEVs are (arguably) competitive now, or soon will be (per various expert prognostications) with existing petroleum-fueled ICEVs. More BEV fast charging ports at more locations are needed to accommodate an increasing population of BEVs. I doubt anyone commenting on this blog would remember a time (pre-WW2) when there were few petroleum fuel servos around (or open at all hours) and where ICEV owners would need to carry their own emergency containers of fuel in case they ran out of fuel out on the road. In the short term the logical hybrid fuel would be petrol or diesel. What would you define as short-term, John? Indicators I see suggests diesel fuel prices will continue to rise – some indicators suggest that declining global production of conventional crude oil is beginning to impede diesel fuel production. Have you compared diesel and petrol prices lately? – I seem to recall not too long-ago diesel was cheap – not now, diesel is now more expensive than 95-ULP (but still cheaper than 98-ULP) around where I live. It will be interesting to see how much of an impact the new International Maritime Organization rule on low-sulphur fuel has on diesel fuel prices in 2020, and beyond. And how much of a knock-on effect diesel fuel prices have on petrol prices – we’ll see soon enough. In the longer term I think hydrogen feeding fuel cells would be the logical arrangement. The hybrid plug-in battery/HFCEV concept seems attractive – perhaps 50–100 km range on plug-in battery only and a 400–500 km range on hydrogen fuel only. Most of the time the vehicle would probably only need to operate in battery only mode. The key question I see is (quoting a TV ad phrase): “Tell us the price, son?” Prices in terms of purchase price, running costs, whole of life costs? Without having this understanding (at the very least an order of magnitude) it’s all speculation about where the energy mix will resolve towards. Mark Butler submitted himself to the usual hectoring and harassment Labor figures get from Patricia Karvelas tonight. She really doesn’t attack Coalition guests like that, even though she says she does. But the Opposition is yet to spell out its policy in detail, even as the Coalition argues the economy can’t afford it. Butler told her about five times that Labor had used the Warwick McKibbin modelling commissioned by the Coalition government on the economic impact of their policy, which showed the economy-wide cost to be around neutral. There is no new modelling and their won’t be before the election. Labor has also used official reports in other areas of their policy. Butler further made the point that McKibbin had used ‘business as usual’ as the base, but had not factored in the costs to the economy of doing nothing. Karvelas deemed that to be insufficient. I was impressed with the command Butler had of his brief. As I had surmised in the post, they had taken their targets from the Climate Change Authority on the basis that we were signed up to Paris for 2C. I think there is a genuine effort on the part of Labor to take the politics out of climate change and to seek bipartisanship. Greater urgency will hopefully come from the new Australian Climate Change Assessment under the supervision of the revamped CCA I mentioned in the post. I was impressed with the command Butler had of his brief. On listening to the podcast interview of Mark Butler with Giles Parkinson the same thought occurred to me too. have the whiff of international BS to me… and I almost said so to the guy who cold-called me last week. He said he was ‘Richard’ but he sounded like a chap from the sub-continent. He was very convincing. R: Good afternoon, am I speaking to Mr Ambi? R: Have you heard about the Govt subsidy for International Carbon Permits? A: No, Richard. Please explain. R: Well, sir, more and more Australians are purchasing these very innovative and entirely reliable permits to decrease their carbon footprints. And of course you will receive your Government subsidy cheque within two weeks of your payment being verified here in Mumb… Melbourne. A: Sounds good. What’s the subsidy worth? R: Twenty percent or $8,000. Whichever is the higher. A: Very generous! Do I need to live in a marginal electorate? A: Are there residence restrictions at all? R: None at all sir!! So I gave him my bank details, and sure enough, he was able to transfer my investment almost immediately. On international offsets, it seems the McKibbin modelling suggested the use of some international offsets was necessary to keep the cost down of reducing emissions by the large emitters. Labor is explicitly saying that their use will be modest. The main game is to get emissions down here. For me the key question is what tangible actions each party plans to do in the next term of government. I am particularly interested in contracts signed and other actions that cannot be reversed by the following government. Putting a price on carbon doesn’t count since it gives no confidence to investors. Tony Abbot proved that.